DEDICATED teachers ready to set up classrooms for the school year were met with a shocking scene on their return to Meridan State College this week. 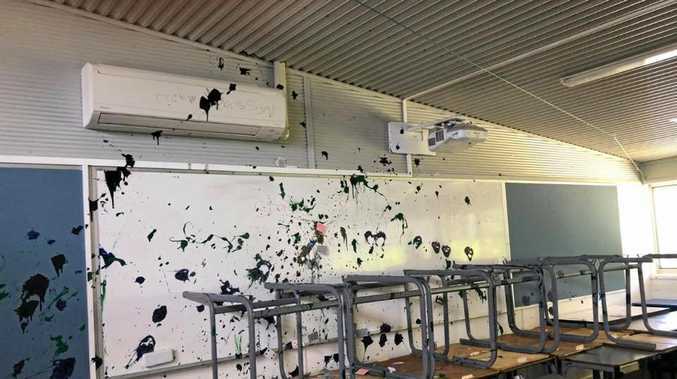 The Little Mountain school was victim to significant vandalism where several classrooms, desks, electronic devices and furniture were completely ruined with some resources unable to be salvaged. 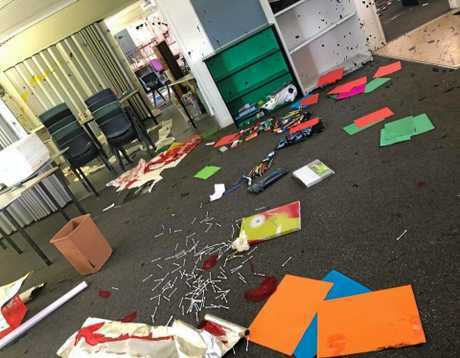 Vandals entered the school sometime over the school holidays and splashed paint across expensive equipment including whiteboards and air conditioners, before turning over furniture, strewing contents across the floor and leaving a trail of destruction in their wake. 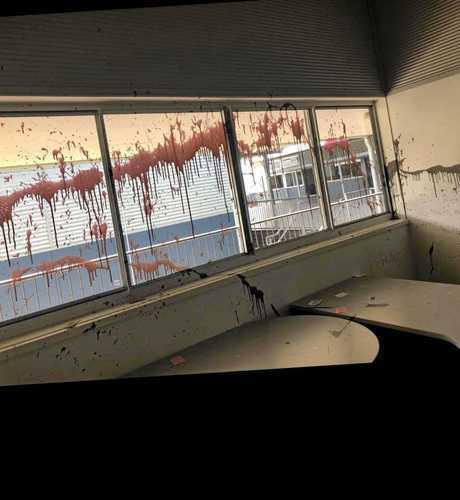 A spokesperson from Meridan State College said the "terrible" incident was discovered as teachers prepared to set up classrooms for the 2019 school year. "The teachers are very dedicated and want to set up for the school year but have now been delayed in doing this. There are resources that need to be purchased for the classroom as well," the spokesperson said. 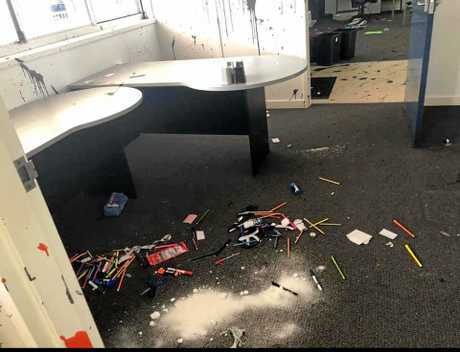 Cleaners reportedly spent a week trying to clean the mess but carpet needed to be replaced and painters were called in to erase the evidence. "All of this is an unnecessary cost to the school," they said. "Our school funds should be used for resources, not repairing or replacing equipment that has been senselessly damaged." Several community members offered a helping hand to the school with some suggesting CCTV cameras could be the next step. A spokesperson said they would look into the cost. 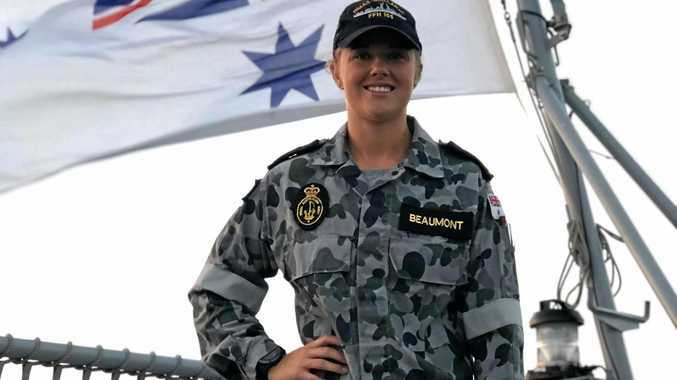 Member for Kawana, Jarrod Bleijie shared his anger over the incident and urged anyone with information to contact police. 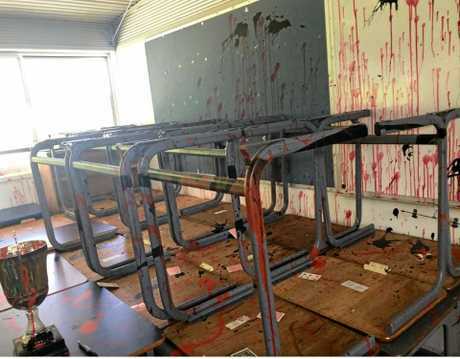 Meridan State School believed students could be behind the crime, but police were investigating.